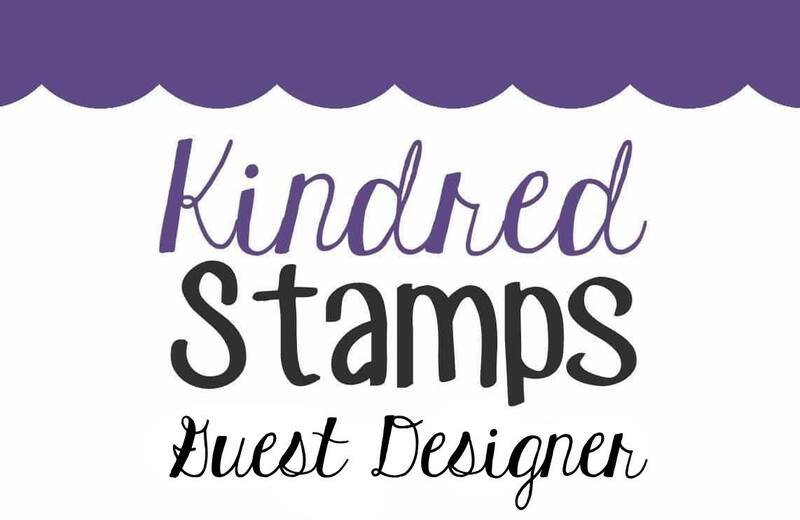 Today on the CardMaker Blog I give you a tour of my stamping space -- or rather, spaces. Here is a little sneak peek. 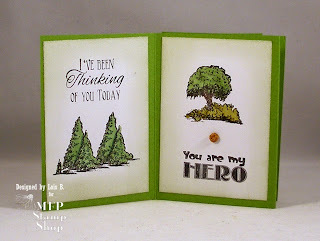 I hope you can stop over at the CardMaker Blog to get the whole tour. Please Hop along with us!! 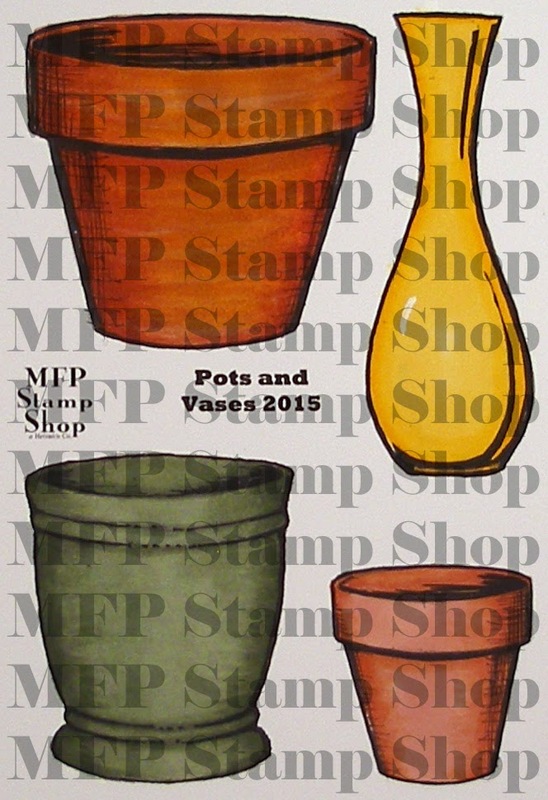 You have a chance to win one of these new stamp sets! Just comment on the blogs listed below (don't forget this one) each day for more chances to win! (You do NOT need to comment on on all the blogs each day! The names are drawn randomly.) The winners will be announced on May 30, 2015, on the MFP Stamp Shop Blog. You can go back and comment if you missed a day. (HINT: The more you comment the more chances you have to win. And comments on the MFP blog count twice.) The deadline for commenting is Friday May 29, 2015, at 10:00 PM EST. Here it is the last day of this month's hop. 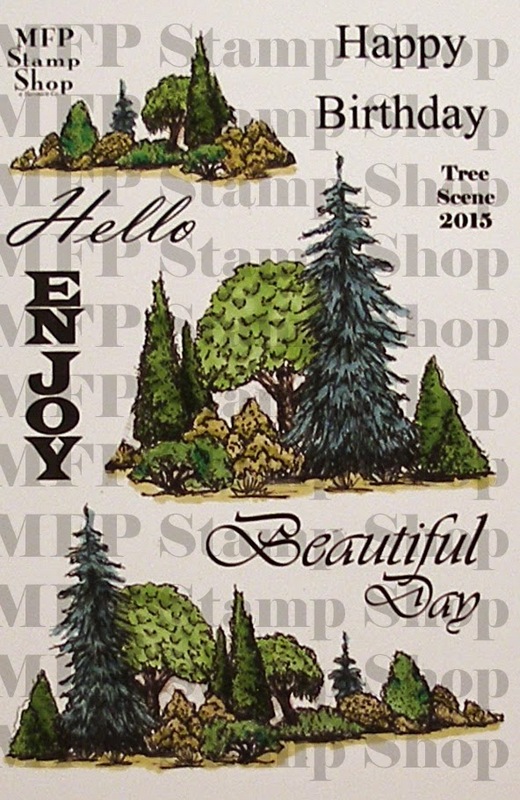 Today's set is one of the "Selections" series of stamps -- this month's set is called Tree Scene Selections. 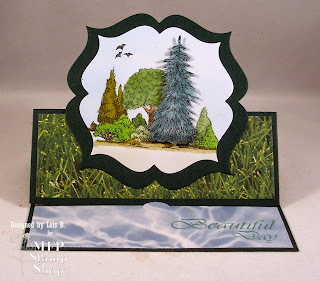 These stamps help you create scenery on your cards; however, I didn't use them that way. I made a Father's Day "card" or actually a Father's Day One-Sheet ATC Book, using images from today's set and sentiments from various other MFP Stamp Shop sets. Be sure to check out the rest of the creations which our DT members have made -- and comment often for more chances to win a free stamp set. Enjoy the rest of the hop. I hope you have gotten some inspiration from our creations this week. 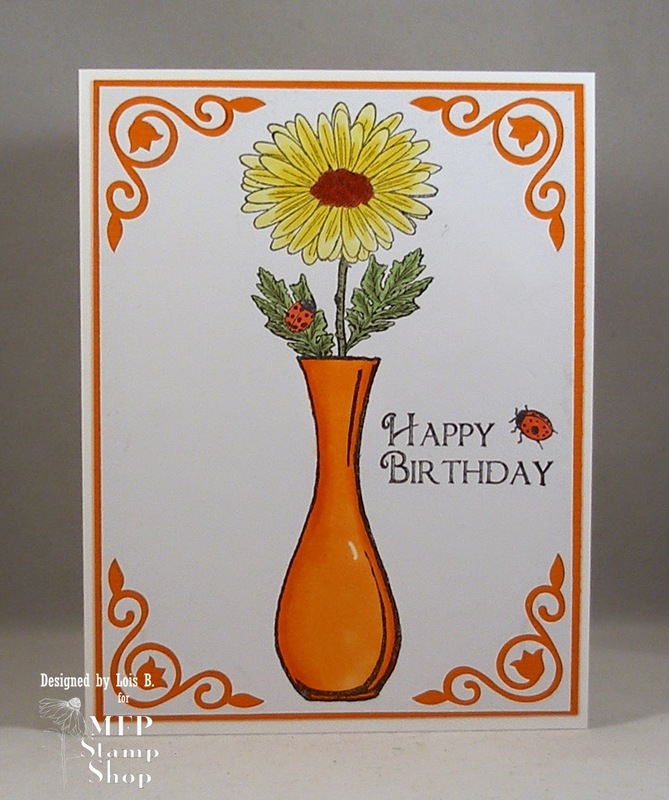 Today's set, Pots and Vases, might be my favorite this month -- and for that reason I have several cards to show you. 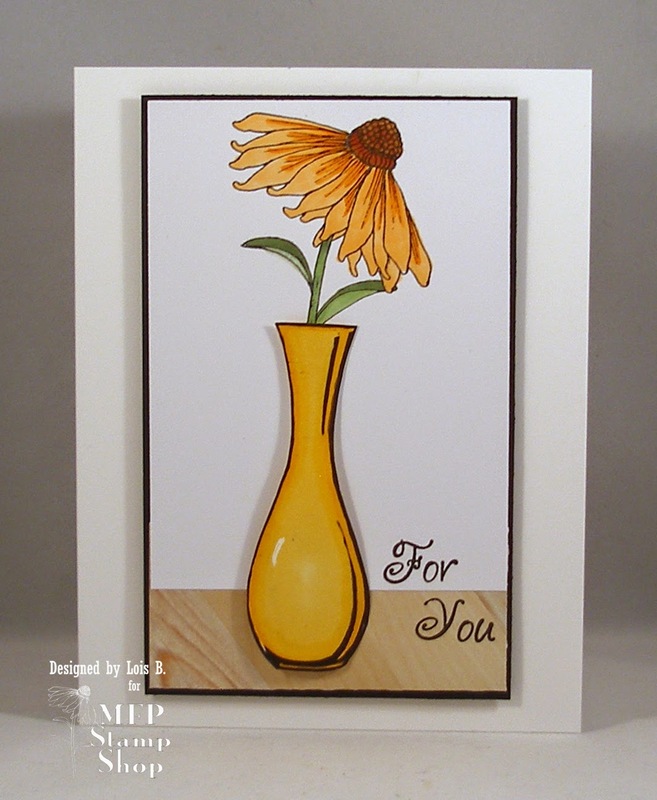 The first one is a new card using the tall vase and an image from another MFP Stamp Shop set, Coneflowers. 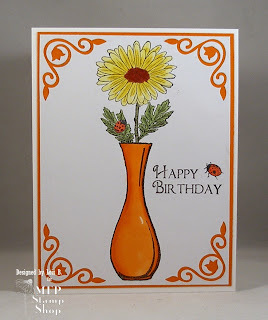 The next two cards I've already uploaded to Splitcoaststampers for two of their challenges earlier this month -- one uses one of the clay pots and the other uses this same tall vase. Enjoy the Hop. Come on back tomorrow for more creative fun!! * The large camellia and the sentiment are both heat-embossed. * The oval is pierced. 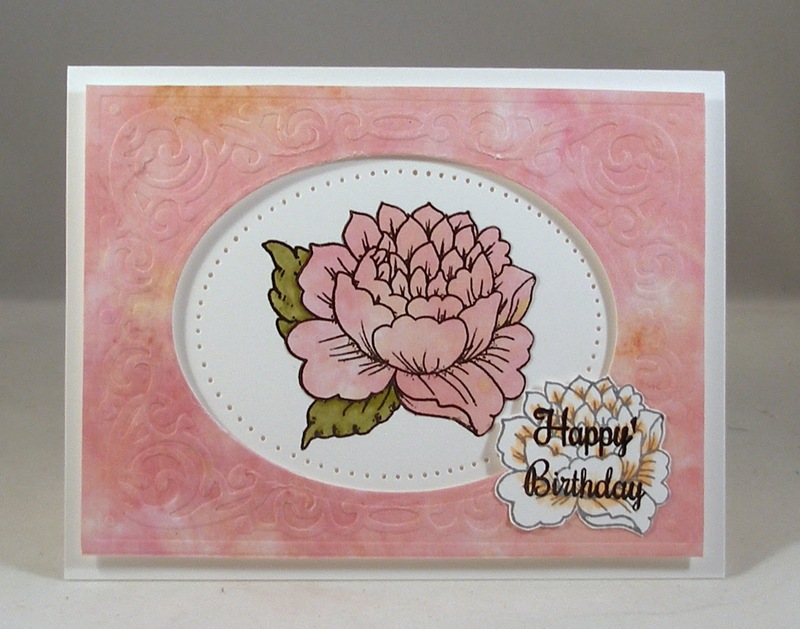 * The pink camellia is pieced. 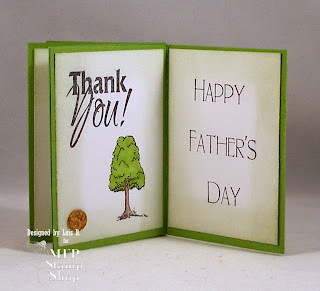 * The pink DP was embossed with a Cuttlebug folder and then the oval was die-cut out of the center, forming the frame. 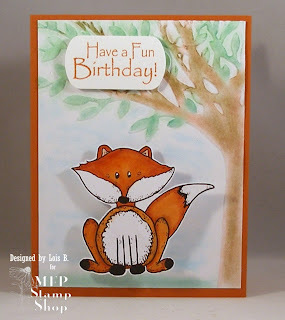 Go over the CCEE Stampers blog to see how the rest of the team handled Joanne's challenge. 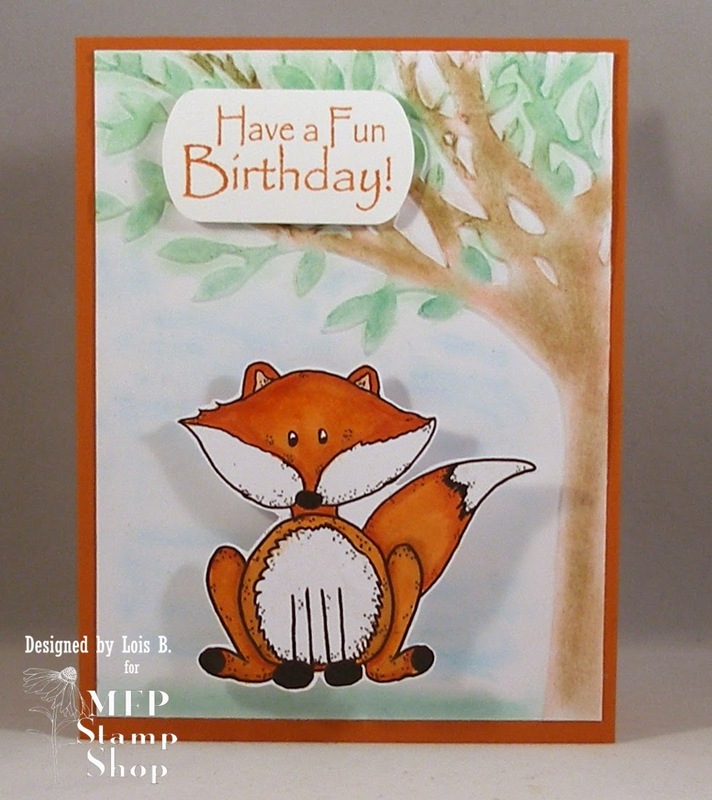 Today's set includes some really fun images, so I decided to make a really fun card, using the fox and a bobble spring. My card using today's set, Tree Scene, is a stand-up card, using a die from Sizzix. 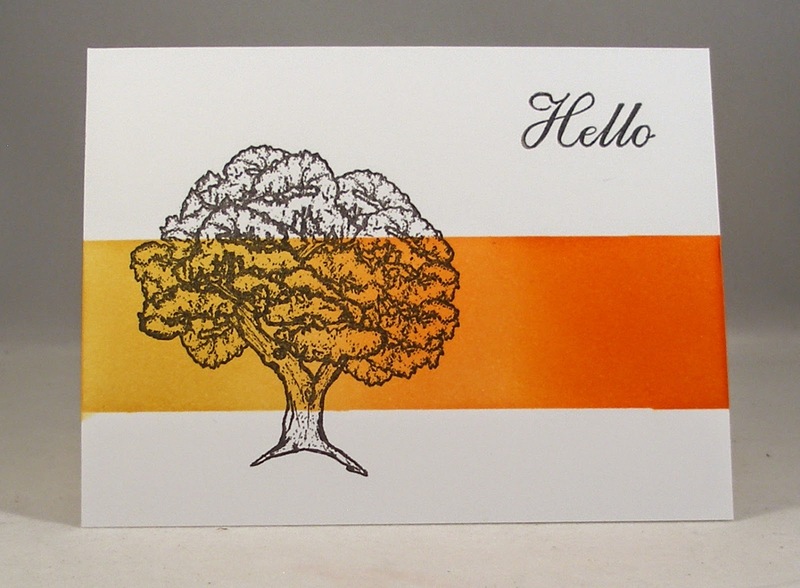 I stamped the image twice, coloring one fully and just the tall tree (which I envision as a blue spruce) a second time. I cut it out and popped it in place on the full image. 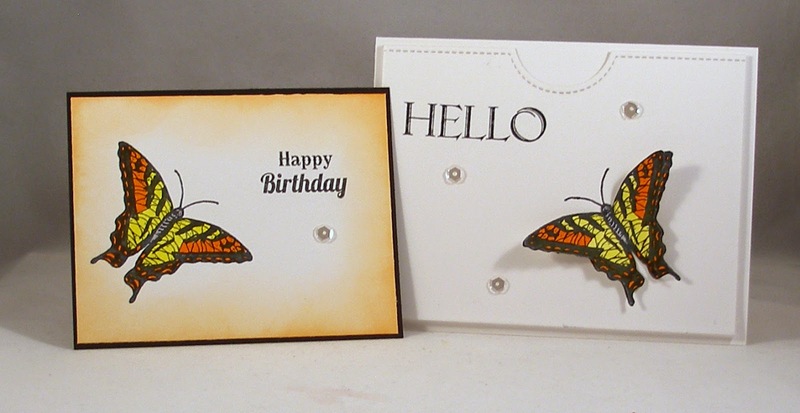 This week Joanne asked the CCEE Stampers to use fabric and corrugated paper on our cards/projects. The fabric was to be something other than ribbon. I hope my piece of burlap will count as fabric. 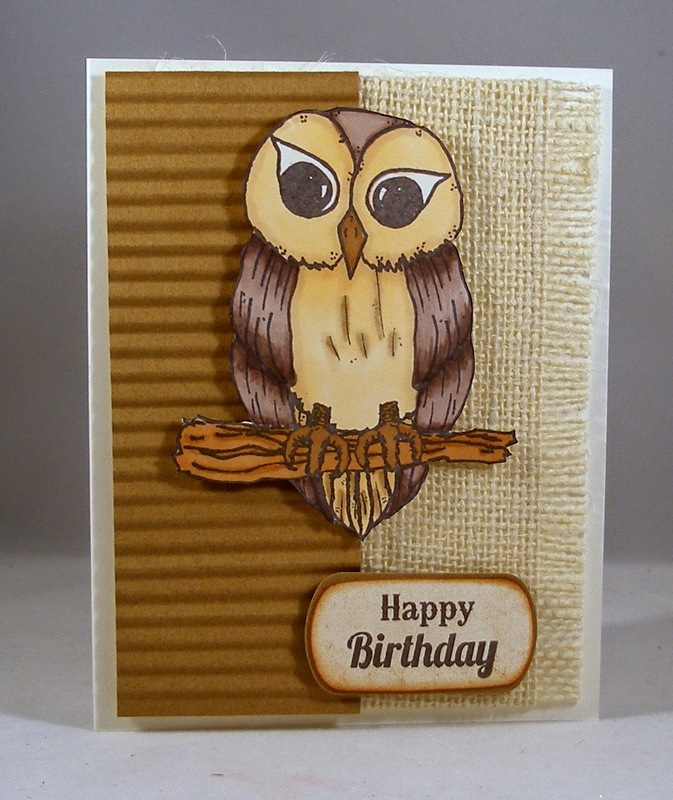 I used a crimper to create my corrugated paper. Check out the CCEE Stampers blog to see what the rest of team created for Joanne. Hi, Friends. 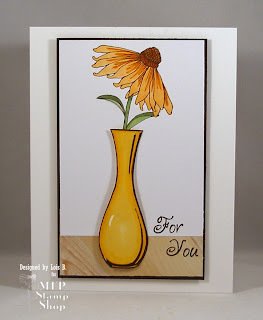 Today I have a give-away to share with you. 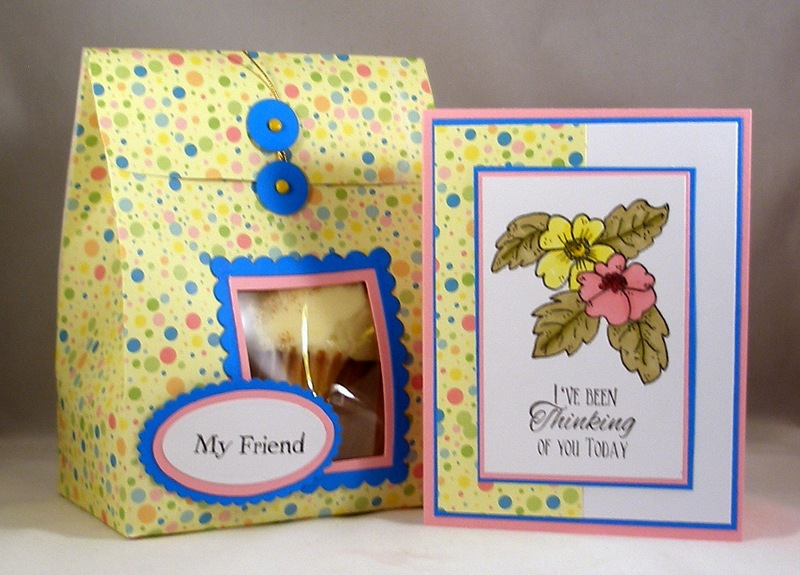 Pretty Pink Posh is partnering with CardMaker Magazine in a blog hop and offering you a package of goodies. 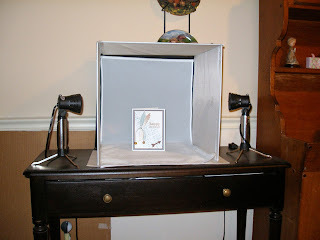 Details of the giveaway are on the Pretty Pink Posh Blog. Hopefully, you have come to my blog from Anita's blog. 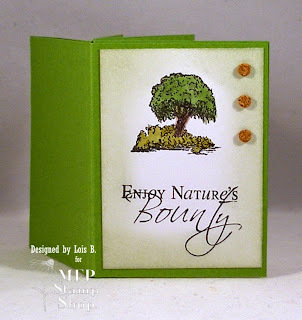 If not, you may want to start at the beginning at the CardMaker Magazine Blog. 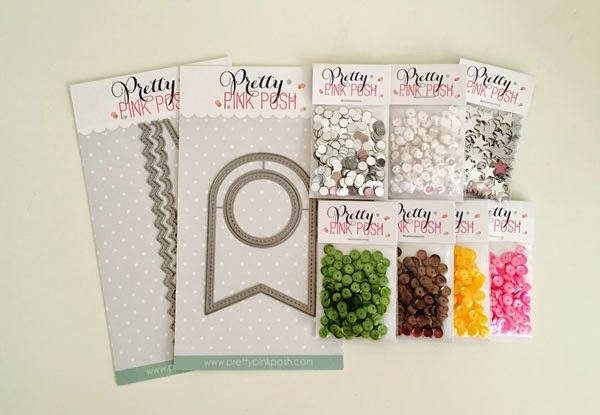 I've been playing with some wonderful toys from Pretty Pink Posh. They make such pretty sequins, which seem to be the "trendy" embellishment of choice at the moment, as well as some unique dies. I've used a bit of both on my cards today. 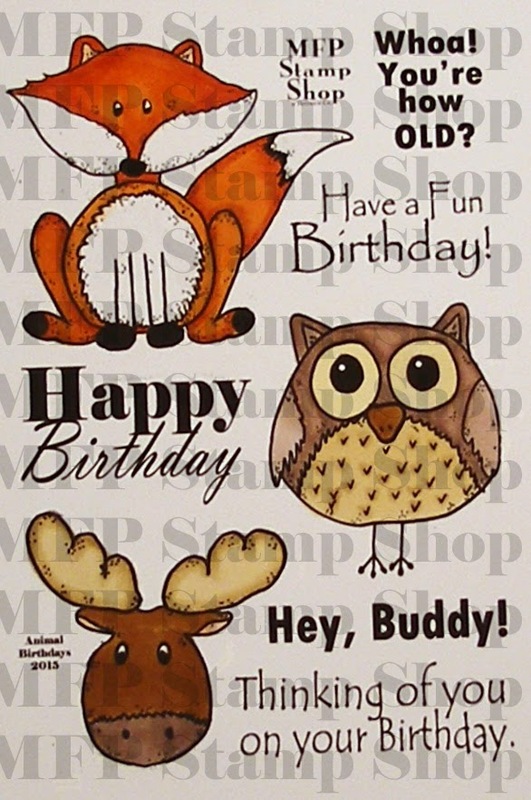 BTW, all of the images on my cards come from one stamp set, Lots of Words from MFP Stamp Shop. 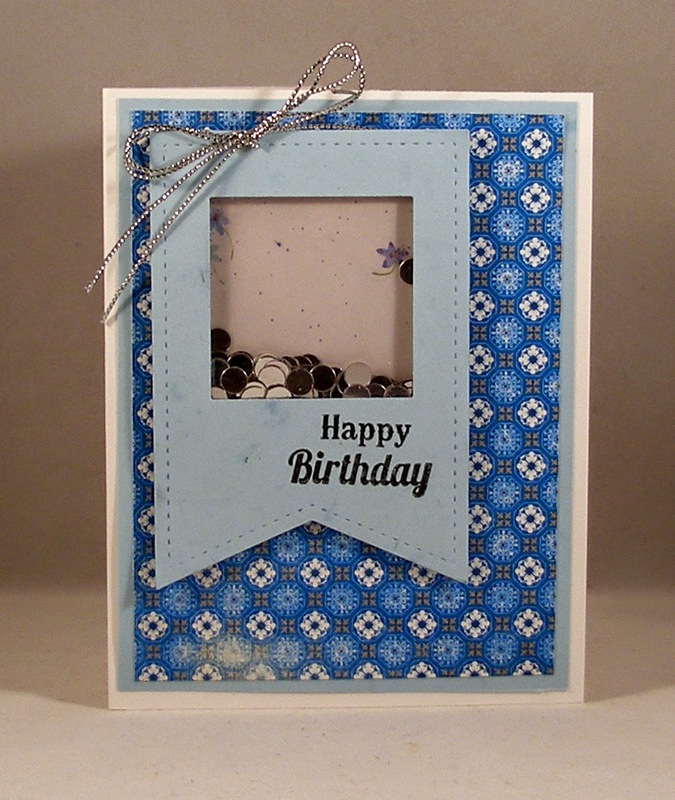 My first card uses the pocket border die and some Sparkling Clear sequins. With that pocket border die you don't have to add a tab to the card inserted into the pocket. How clever is that!!! Don't you love that stitched border across the top? 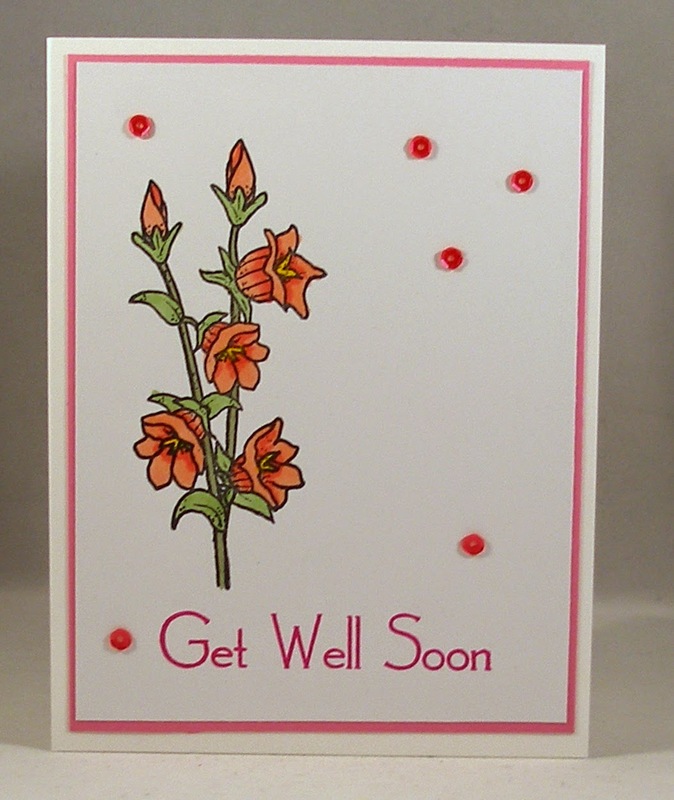 My second card is a relatively clean-and-simple get well card with some Watermelon sequins. My third card is a shaker card. 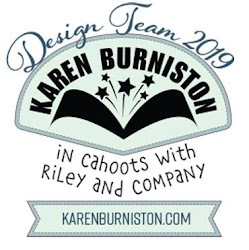 The stitched banner die set includes both the banner and the square. You can cut them apart so that you can use them separately. Or . 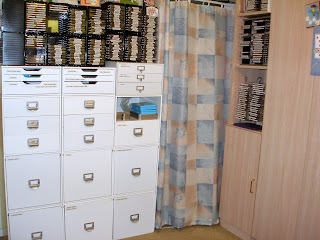 . . if you don't want to have to do any measuring and plan always to use both of them, you can just leave them connected. I used them both to make a shaker card, putting some 6mm Silver Confetti inside the shaker box. The last stop of the hop is Pretty Pink Posh Blog. Thanks for stopping by my blog today. 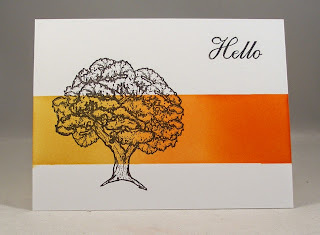 This week CCEE Stampers challenge hostess asked us to get out our acrylics and ink. 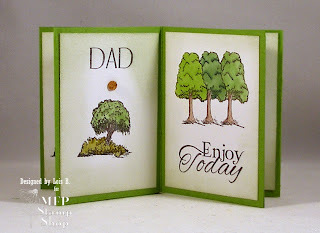 She wanted us to create a background using inks, but no stamps or embossing folders. 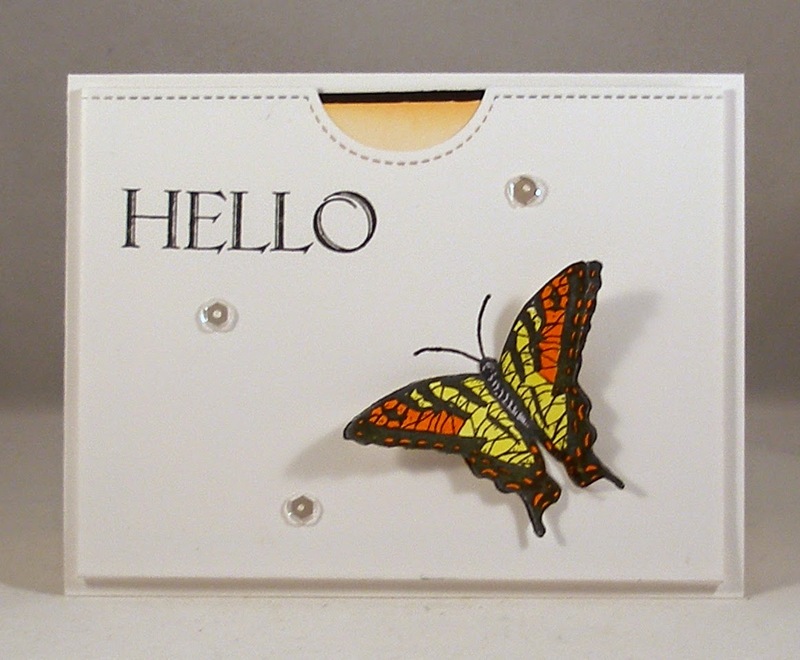 In addition, she wanted something acrylic on our cards/projects. 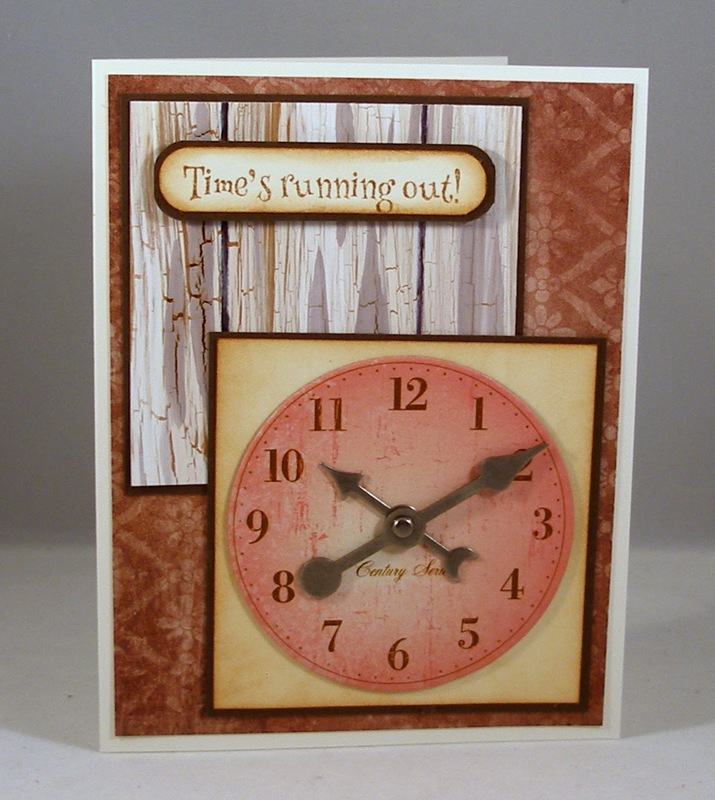 I decided to try a technique I had seen on Splitcoaststampers, Faux Barn Board, which uses acrylic paint, re-inker, and white glue. The panel at the top of my card is the result. Am I being immodest if I say I like it? 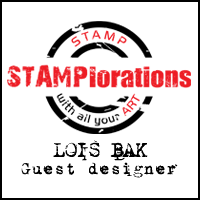 Check out the creations by the rest of the team by visiting the CCEE Stampers blog. New month -- new CCEE Challenge hostess. Joanne is our hostess for the month of May, and she is making us bring out all our tools this month. 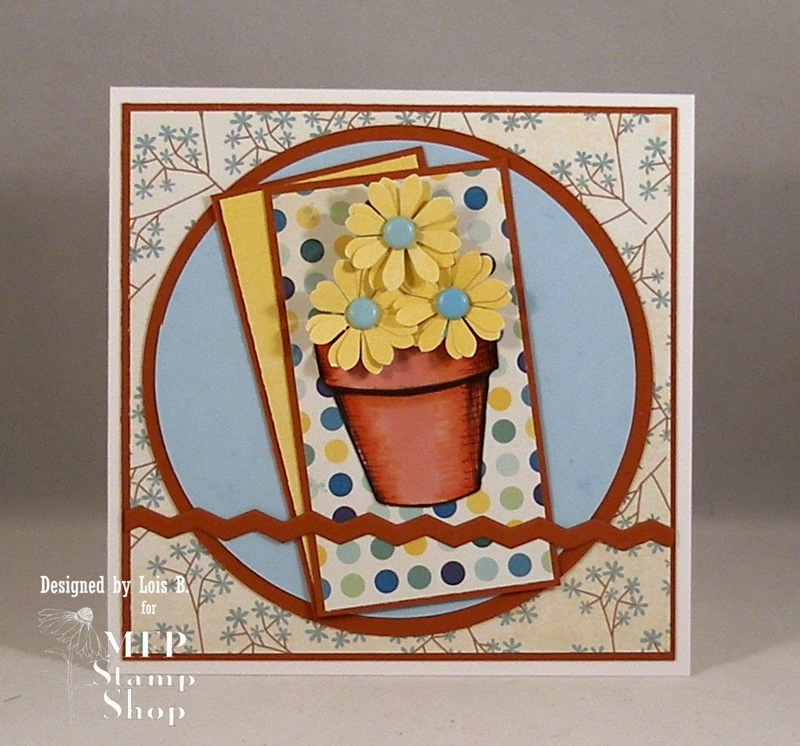 This week she wants us to use an embossing folder, some brads, and a hand-made flower. I decided once again to give quilling a try. I've done this a couple of times, with varying degrees of success -- but I've never really been happy with the results. 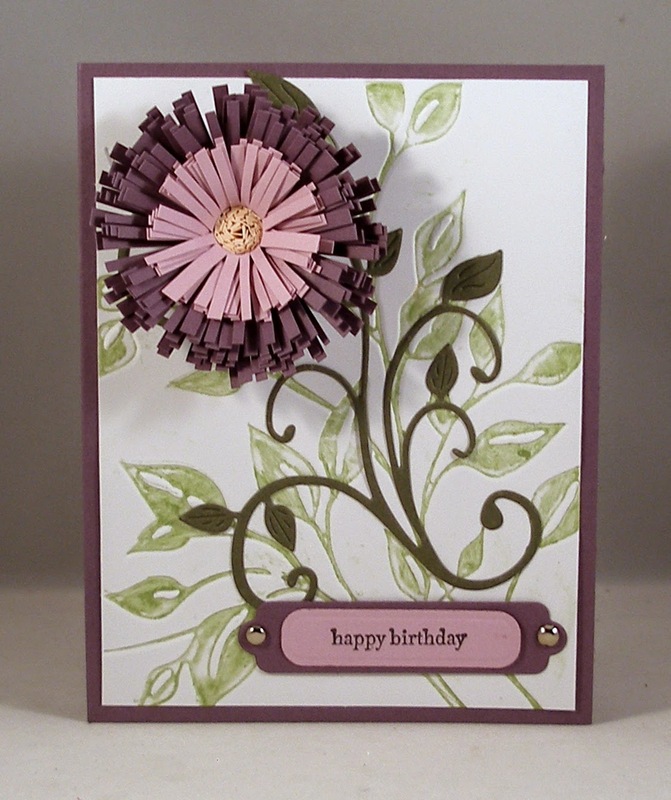 My quilling efforts on today's card is probably better than previous tries, but still not great. I do like the colors though! 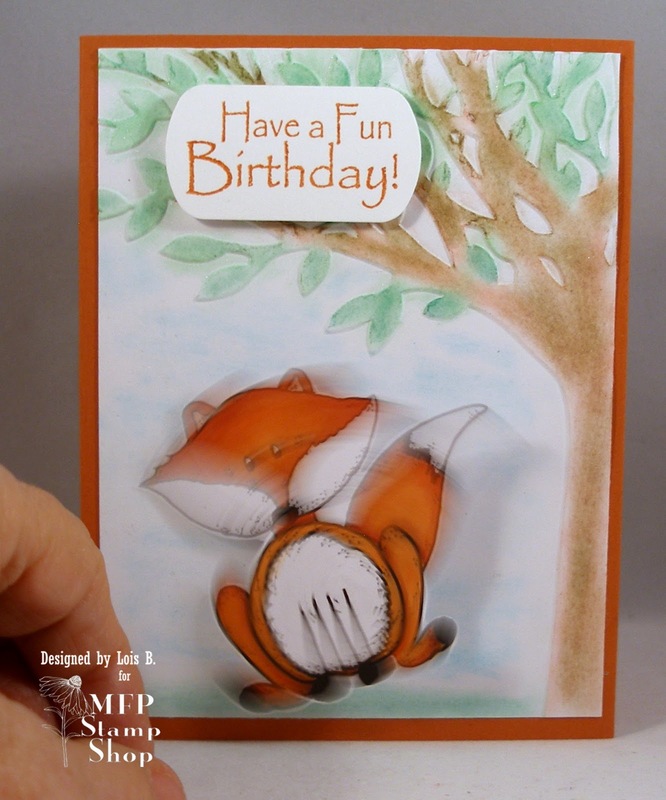 Check out the CCEE Stampers Blog to see how the rest of the team answered Joanne's challenge. 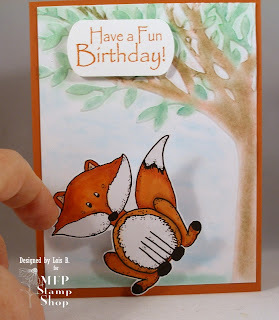 I have a post on the Card Maker Blog today demonstrating how I made this card. 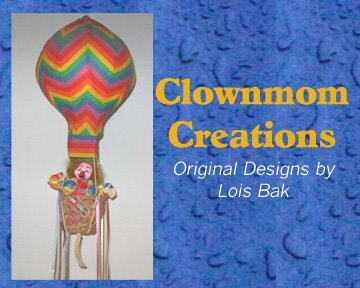 I hope you'll stop by and check it out. 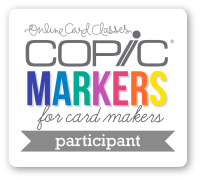 This month's Scor-Pal More Than One Score challenge is hosted by Toni Storie. 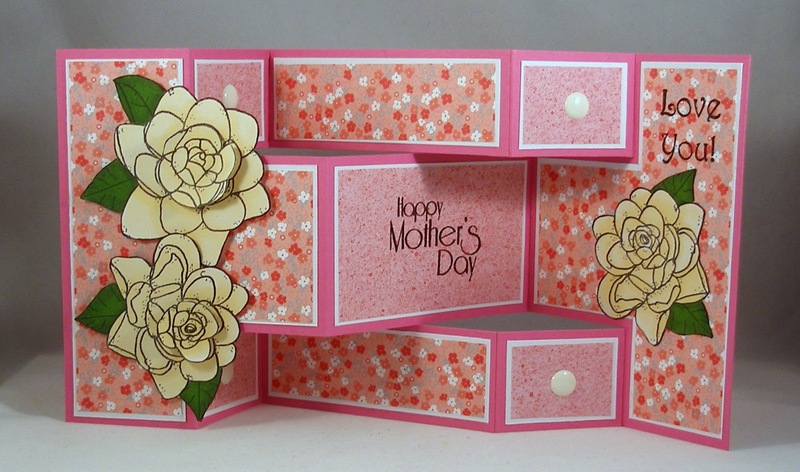 She asked us to make a card honoring our mother or another special lady in our life. 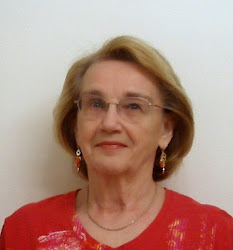 My mom died last year, but I will be remembering her on Mother's Day. I made this card in her honor. 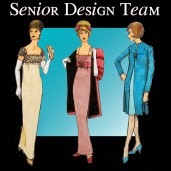 Check out the Scor-Pal Blog to see what the rest of the team has done to honor that special lady. Please Hop along with us!! 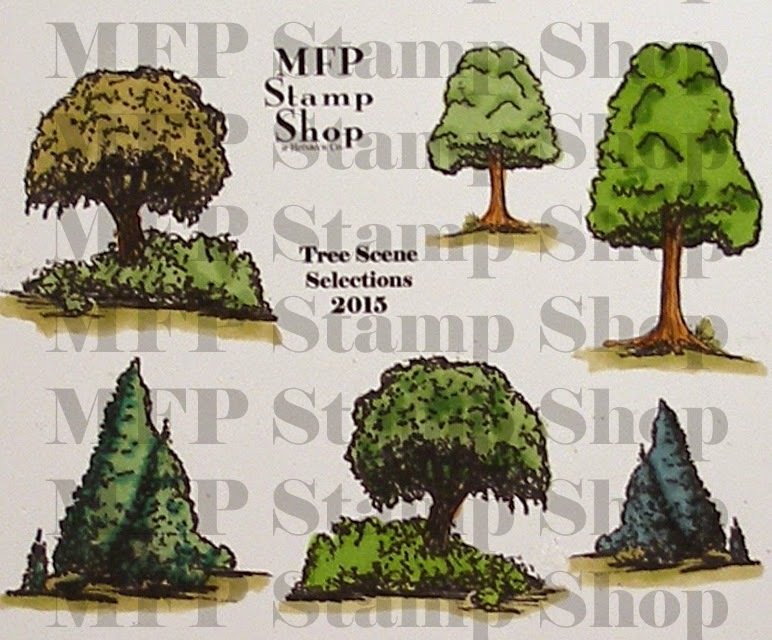 You have a chance to win one of these new stamp sets! 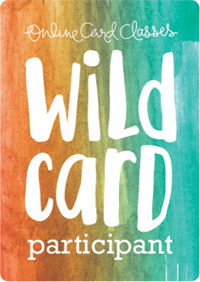 Just comment on the blogs listed below ( don't forget this one ) each day for more chances to win! (You do NOT need to comment on on all the blogs each day! The names are drawn randomly.) 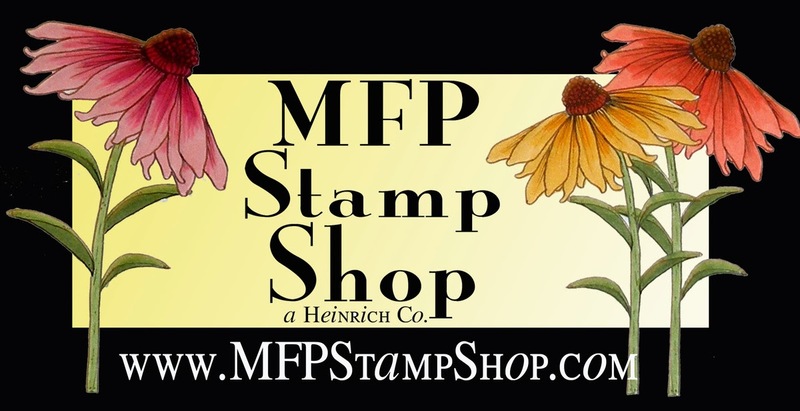 The winners will be announced on May 2, 2015, on the MFP Stamp Shop Blog. You can go back and comment if you missed a day. ( HINT: The more you comment the more chances you have to win. And comments on the MFP blog count twice. ) The deadline for commenting is Friday, May 1, 2015, at 10:00 PM EST. Here it is, Friday already and the last day of this month's hop. 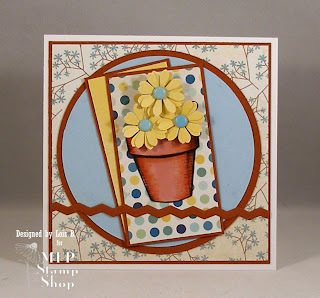 My first card with today's set, Small Flowers, is a clean and simple, one-layer card. The masked strip was sponged with Ranger Distress Tumbled Glass and Bundled Sage, my go-to colors for landscapes. 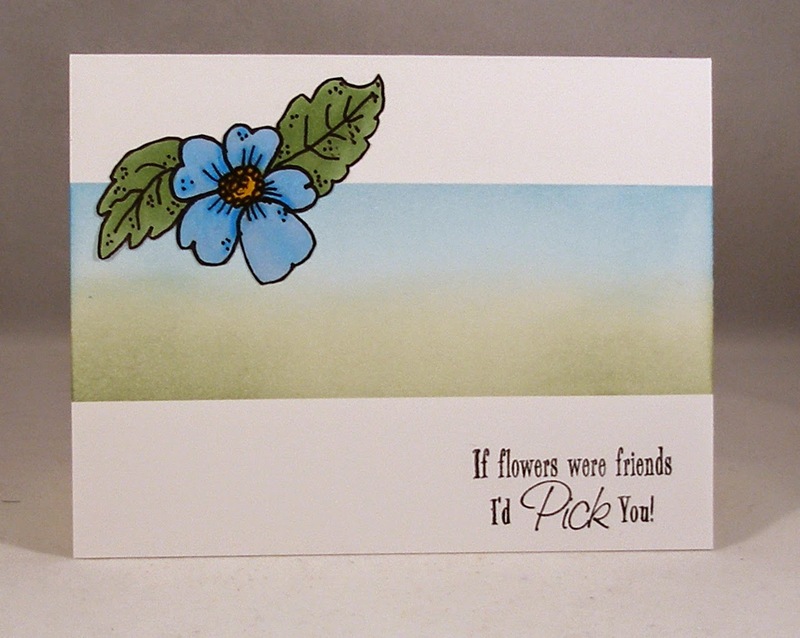 Small Flowers is a mini set with no sentiments, so I used one of the sentiments from another MFP Stamp Shop set, Be Happy. My second card is part of a set. I made the bag using a pattern I had purchased several years ago. My 84-year old neighbor is having a rough time at the moment. Her husband is in a rehab center, and she's been going back and forth almost every day to visit with him. I thought she needed a lift, so I bought her a cupcake at the local Publix Super Market bakery. On the card I used a scrap from the 12" x 18" piece of heavyweight paper from which the bag is made. 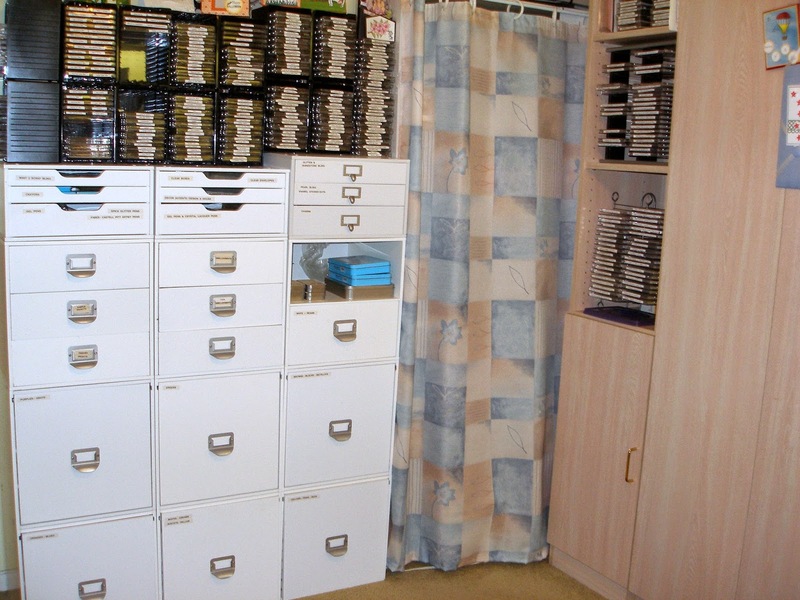 I hope you've gotten some inspiration from my projects this week. Now it's time to visit the blogs of the rest of the team. Hopefully, you'll get some inspiration from everyone this month. Be sure to comment so you increase your chances of winning a free MFP Stamp Shop stamp set.